The sensing element which is generally small - 2 to 5mm diameter - is attached to a stainless steel mineral insulated cable that can be bent. 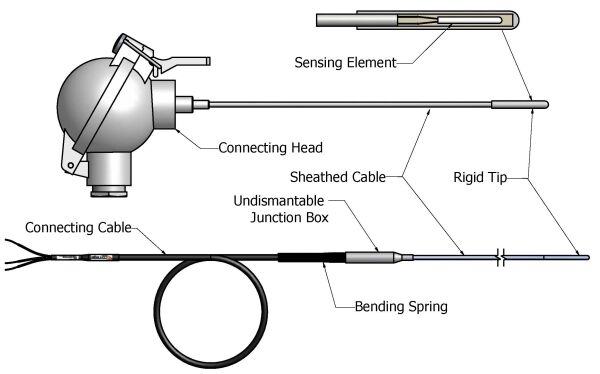 Tightness between sensing element and cable is achieved by laser welding or brazing. Connection to the readout instrument is made by a cable, a connecting head or a connector. 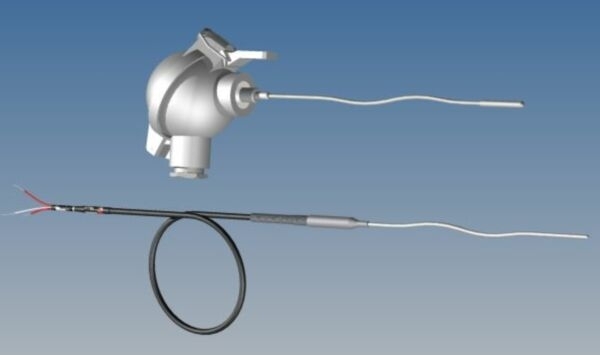 The materials chosen for encapsulating and for the cable as well as the type of crimping and welding are the essential elements that determine the sensor performance as far as resistance to vibrations and working conditions are concerned. 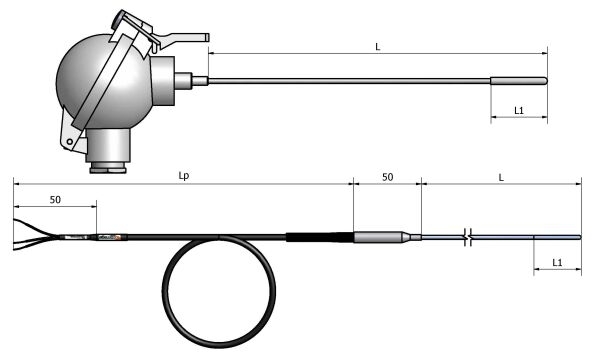 The L length and the type of connection with 2, 3 or 4 wires should be determined according to the expected accuracy.